This is a recipe that is typical of northern Mexico. 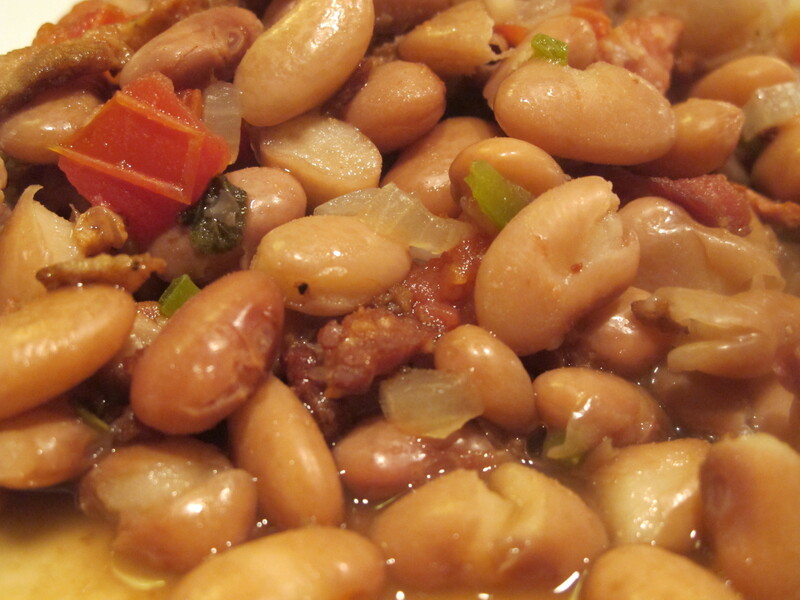 Though it is similar to the more traditional Frijoles de la Olla, this adds a lot more flavor to the pot. It is great in a big bowl with some cornbread on the side or alongside some carne asada, Mexican rice and a simple salad. My mom recently told me that my grandfather used to make this often, though he would use finely chopped beef instead of bacon. If you want to make it vegetarian, you can use some of the vegan chorizo (like the recipe I’ve posted earlier) or some vegetarian bacon. Go through the beans and remove any pebbles or other debris. In a large strainer, rinse the beans well and then place in a large pot. Add enough water to cover the beans by two inches. 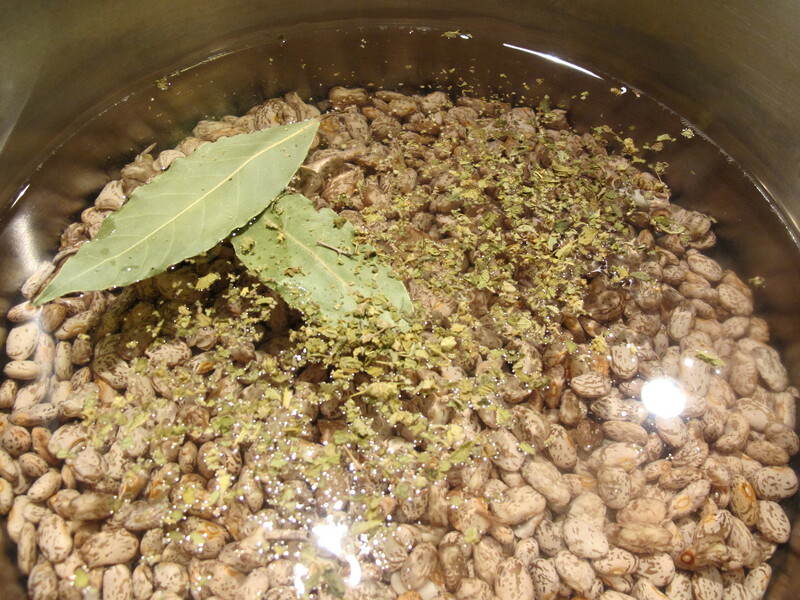 Add the bay leaf and the oregano and bring the pot to a boil, uncovered, over medium heat. 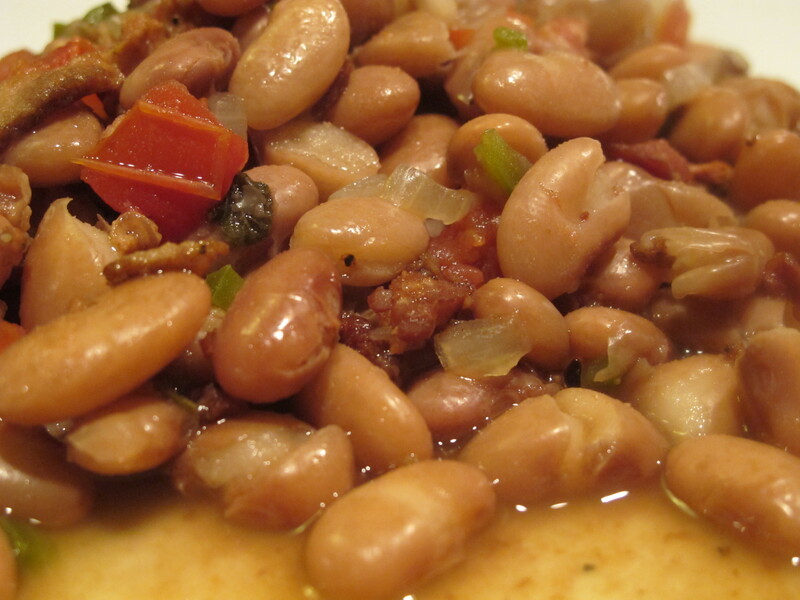 Once it boils, bring it down to a simmer, cover and cook for about 1 ½ – 2 hours or until the beans are tender. Set aside. In a medium skillet, cook the bacon over medium heat until they are crisp. Remove from the skillet and set aside. 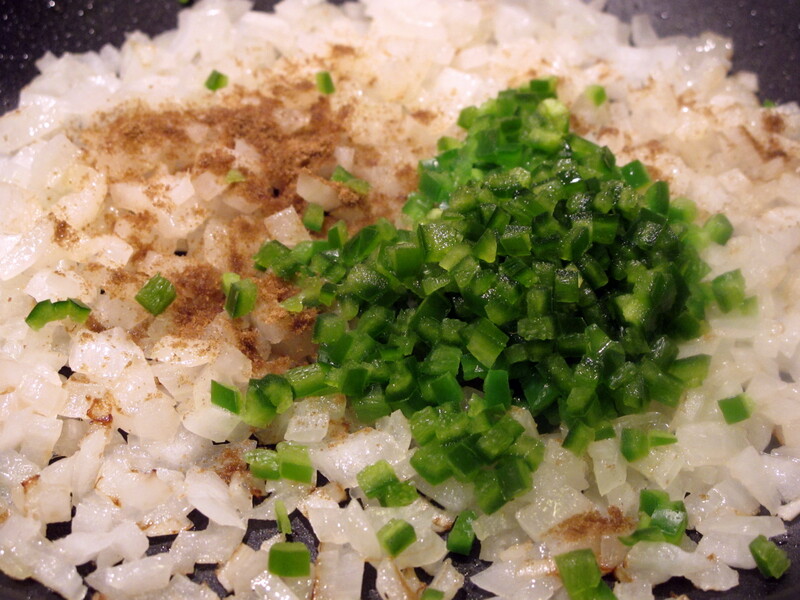 Leaving 1 tablespoon of bacon fat, add the onion and cumin. 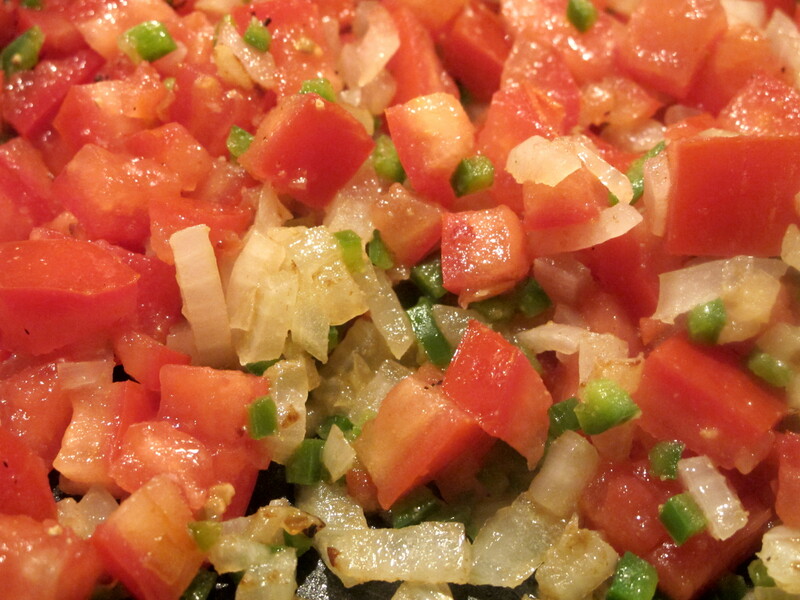 Stir for about a minute and add the tomatoes, salt and pepper. Cook for about three minutes. Add the tomato mixture, along with the reserved bacon, to the beans. Return the beans to the stove and cook over medium heat for about 10 minutes. Make sure to stir the beans with the mixture a few times during the 10 minutes. Taste for salt and add to your taste. NOTE: If you use vegetarian bacon (or turkey bacon if you don’t eat pork) add 1-2 tablespoons of oil along with the bacon. These look marvelous! I wish I had a plate of them right now…I wouldn’t even need anything else. Perhaps a tortilla!